There is still a question mark on cricket as the board is yet to respond. 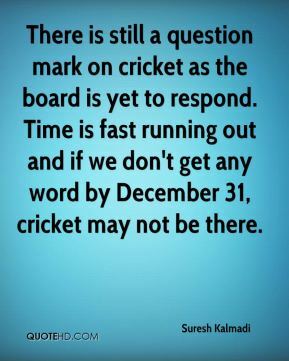 Time is fast running out and if we don't get any word by December 31, cricket may not be there. We wanted to involve the student community, that's why we chose Delhi University. 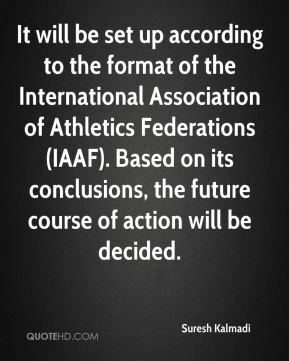 It will be set up according to the format of the International Association of Athletics Federations (IAAF). Based on its conclusions, the future course of action will be decided. 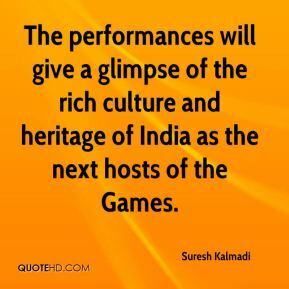 The performances will give a glimpse of the rich culture and heritage of India as the next hosts of the Games. 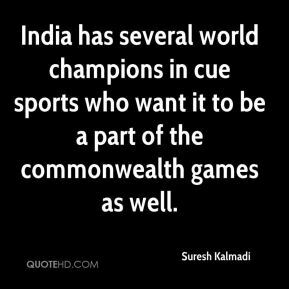 India has several world champions in cue sports who want it to be a part of the commonwealth games as well. 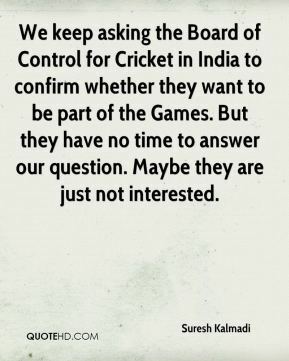 We keep asking the Board of Control for Cricket in India to confirm whether they want to be part of the Games. But they have no time to answer our question. 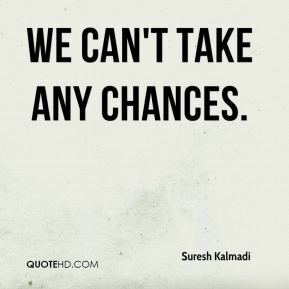 Maybe they are just not interested. 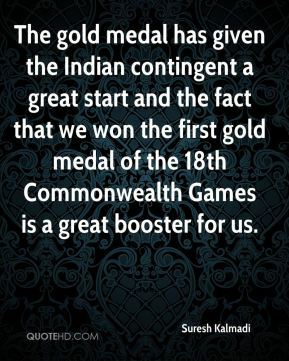 The gold medal has given the Indian contingent a great start and the fact that we won the first gold medal of the 18th Commonwealth Games is a great booster for us. 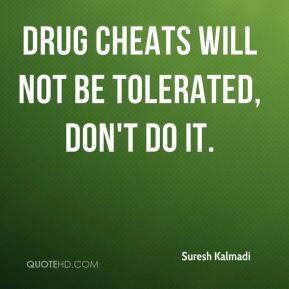 Drug cheats will not be tolerated, don't do it. 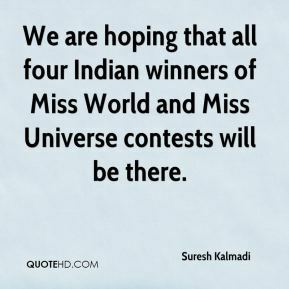 We are hoping that all four Indian winners of Miss World and Miss Universe contests will be there. 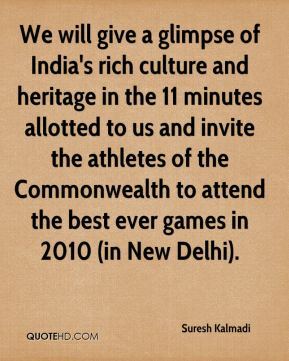 We will give a glimpse of India's rich culture and heritage in the 11 minutes allotted to us and invite the athletes of the Commonwealth to attend the best ever games in 2010 (in New Delhi). 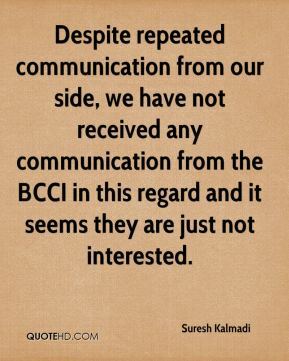 Despite repeated communication from our side, we have not received any communication from the BCCI in this regard and it seems they are just not interested. 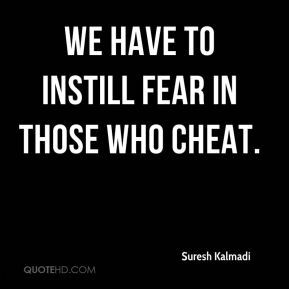 We have to instill fear in those who cheat.